Before you can choose the best colors for your bedding, you need to decide what style of bedding you prefer. If you start shopping for bedding by color, you can end up with bedding that does not work with your style at all. Most bedding styles have unique color schemes, so if you decide that you’d like charcoal gray bedding but you love English garden-style decor, you might end up with a contemporary-style bedding set instead. Knowing your style does not mean that you can’t incorporate your favorite color in the bedding, you can add a pop of color as an accent pillow, sheets, or even a throw at the end of the bed. If you love the idea of creating a mood board for your bedroom, then choosing the right bedding will be easy. A mood board can be created with your favorite color swatches literally attached to a board, or you can create one on your computer, or even use Pinterest. Once your mood board is complete, you’ll have a clear vision of the bedding color to shop for. If you’re more of the instant-gratification type of decorator, you’ll still want to have a color scheme in mind for your bedroom before shopping for bedding. If possible, have paint swatches on hand, along with any other items you’ll be matching. This will save you from returning or exchanging bedding that looked right in the store but does not work with your bedroom color scheme. Solid Color or Patterned Bedding? Bedding in solid colors can be elegant and simple and can give your bedroom a trendy hotel style. Solid colors can also contribute to a relaxing and zen-like space, which is great for winding down after a long day. The secret to creating a retreat-style bedroom with solid color bedding is to consider the bedding as a monochromatic color scheme. Choose your main color, then layer it with lighter and darker shades of the same color. This keeps your bedding from looking dull, or that you simply threw a duvet and matching pillow shams on the bed out of convenience. Patterned bedding has its advantages. If you’d like to pick up accent colors from the room, patterned bedding gives you the flexibility to feature small doses of that color, without overwhelming. Traditional and romantic bedding styles feature floral patterns that can incorporate colors from around the room. The secret to choosing patterned bedding is to also add solid colors liberally into the bedding set to keep it looking fresh. Patterned bedding can become dated more quickly than solid colors, so consider using only one patterned piece with one or two small accents, so you can change things up without replacing the entire set when you’d like a change. 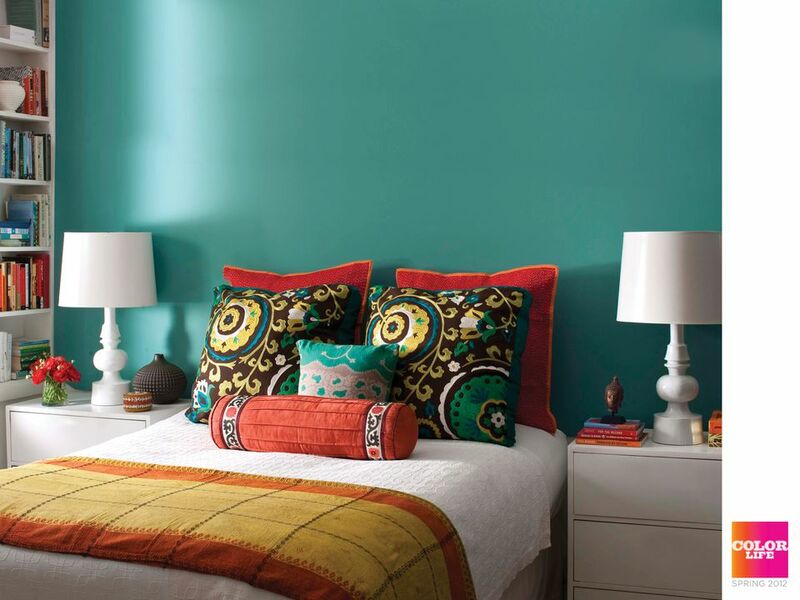 You can also choose any color from your bedding pattern to coordinate with your bedroom wall color. The right bedding fabric can complement your bedroom style. Once you’ve decided on patterned or solid colors, the type of fabric you choose is important too. Fabrics with a sheen are a more formal choice than a simple cotton or other matte fabrics. Fabrics with sheen can brighten up a dark bedroom, and create a more glamorous vibe. Velvet is a sumptuous choice, but in a dark bedroom, it can absorb available light. Use textured fabrics in a monochromatic scheme as the perfect base for modern accessories and accents. Choosing a complete bedding set with all elements perfectly matched is a beautiful and easy way to outfit your bed. Bedding sets have been designed to give them a perfectly matched appearance, with some mixing of patterns and textures for interest. Though the sets are deliberately matched, the bedding components are varied to avoid that dreaded “matchy-matchy” look. If a pre-matched bedding set is still too “matchy” for you. The alternative is to create your own bedding ensemble. The secret to putting together an eclectic bedding set that doesn’t look too random is to use one or two unifying colors throughout your set. Your bed skirt could be striped, your duvet could be floral, but both need to share the same unifying colors to give them a funky, but pulled-together, style. You might not want to remove a pile of throw pillows from your bed every night, but you can still add accents and accessories to pull all of your bedding decor elements together. An accent pillow chosen separately from your bedding set, a luxurious throw in an accent color, or a colorful water carafe next to your bed, can pull even the tiniest accent color from your bedding. The secret is to choose one color from your bedding and highlight it in a different way, through another pattern or shade.